I guess we’ve decided recently that if you want to have a big hit nowadays, it needs to be fashion forward. Look at “Suit & Tie” by Justin Timberlake and Jay-Z. 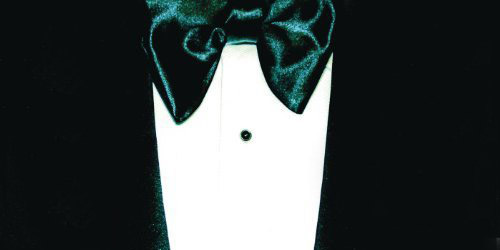 That one’s a formal affair. “Thrift Shop” by Macklemore & Ryan Lewis recently topped the charts and explored the less expensive side of things. It wasn’t exclusively about clothing, but it’s so hard to ignore a bargain. So, inspired by these two songs, especially the former one, I give you the Top 40 Most Fashionable Titles of the Rock Era. The list contains those song titles that either mention a specific article of clothing (pants, shirt, etc. ), a major component of it (a collar or a pocket, but not a button) or a style of clothing. So, you won’t be seeing titles with the generic word “clothes” in them (like Shakira‘s “Underneath Your Clothes”), songs with solely materials in the title (like “Black Velvet” by Alannah Myles) or other songs that may otherwise use “dress” or “wear” but without something else to complete it (like “You Wear It Well” by Rod Stewart.) Oh, and no songs about a “sock” when its clearly meant to be a verb. Now, get ready to run down the aisles, ’cause this sale on singles won’t last long. Just so you can make some room in your closet, the majority of these songs are about pants and shoes (10 each). Four are about hats, two mention sunglasses, another two dive into some swimwear, and I’ll let you figure out the rest. I think I’ve heard this medley a few too many times on the local classic hits station. The original song, combined with the Little Richard hit, became the biggest of their five singles to make the top 40, hitting #4. Ryder also made the Hot 100 as a solo artist later in the decade. The Michigan native still tours in the U.S. and in Europe. Named after their hometown of Houston, Texas, this trio catapulted to the #3 slot in 1993 with the first single. It led them to a win at the Soul Train Music Awards the following year in the category of Best R&B New Artist. They largely struggled to find a hit single after “Boots”, charting three other times below the top 40. They haven’t recorded any music during this decade… yet. Australia’s darling was taking over the charts here in the States in the early 70’s, which included three number-one singles like “Angie Baby” and “I Am Woman”. “Alone” only got to #3, but it was one of six top ten hits Reddy collected on the Hot 100. As disco infiltrated the mainstream, Reddy could no longer make the top 40 by 1977, and she last hit nationally in 1981. She occasionally performs today. The rapper from St. Louis took us to Nellyville back in 2002 and this song about Nike-brand shoes (rather than the presidential aircraft) from the multi-Platinum album went #3 in the early 2003. He’s recorded several albums since then and recently made the Hot 100 with his latest single, “Hey Porsche”. He’s also featured on a new remix of Florida-Georgia Line‘s “Cruise”. She was born Geraldine Pasquale, but was given her stage name on a local talent show. Stevens was just 13 years old when she found herself in the pop spotlight with her Gold-certified debut single about a wacky guy’s sense of clothes. It took her to #3 on the Hot 100, her highest charting position. She had several other minor singles make the big chart. She has a daughter and performs with her today. 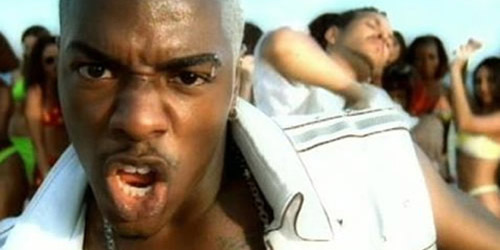 After taking a break from Dru Hill, it was clear that Sisqo was the frontrunner from the group to achieve a solo career. The goals of a long career, however, were stunted rather quickly when his novelty “Thong Song” blew up. Whether you were at the beach or the club, you couldn’t ignore it. “Thong” went to #3 on the Hot 100, which was followed by the #1 “Incomplete”, which secured the spot thanks to big R&B airplay and strong physical sales. His second album ultimately tanked, and Dru Hill‘s next release couldn’t measure up to the success of their 90’s material. In other words, he bottomed out. 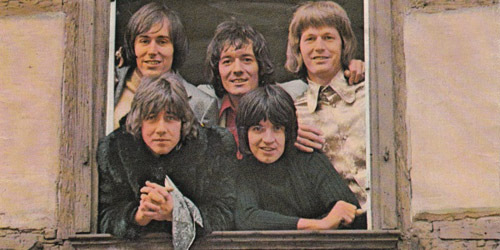 After several charting records on the Hot 100 in the 60’s, including a handful of top-ten hits like “He Ain’t Heavy, He’s My Brother”, these Brits scored their biggest entry in 1972 with the #2 “Woman”, just stuck behind the monster that was “Alone Again (Naturally)” by Gilbert O’Sullivan. It’s the highest song on this list about a dress. The group would have one more big single two years later, “The Air That I Breathe”, before largely disappearing from the U.S. charts. They last made the top 40 in 1983 and remain together with a few replacement members. Prince and his band The Revolution were on fire in 1985 after just coming off the success of Purple Rain and its corresponding soundtrack full of hits like “Let’s Go Crazy” and “When Doves Cry”. “Beret” was the first single from Around The World In A Day, which went to #1 on the Billboard 200, though the single itself only made it to #2. One other song from the album, “Pop Life”, went to top ten. 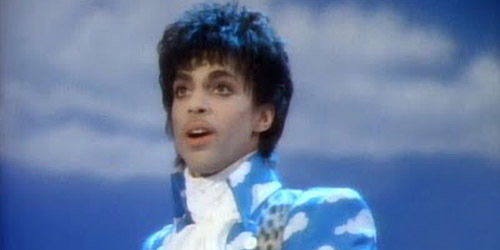 The video for “Beret” was combination of both live performance and animation which the Purple One ended up editing himself. Let’s just say juggling all those berets didn’t quite help him on that one. As the daughter of the iconic Frank Sinatra, Nancy was bound for big things once she decided to pursue a career in music. After a single failed to achieve a high position in 1965, Sinatra went to the top of the Hot 100 the next year with “Boots”, which became her signature song. She enjoyed some modest success with the occasional top ten single for the rest of the decade, last reaching the Hot 100 in 1969. She hosts a weekly show on a SiriusXM Radio channel named after her father, Siriusly Sinatra. Watching the snow melt away day after day brings us closer to the summer season, and now, a musical memory from the summer of 1960. It’s the most popular song on this list about articles of clothing. 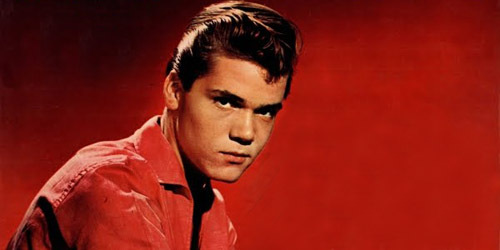 16-year-old Brian Hyland was objection of affection for many a young girl back then as he went to the top of the Hot 100 with his mouthful of a song title. Sales of the garment skyrocketed because of the song’s popularity, and it’s been featured in a number of movies and advertisements in the nearly 53 years since its release. Hyland went onto other top ten singles like “Sealed With A Kiss” (1962) and “Gypsy Woman” (1970), but he’ll always be remembered as the teen idol who sang the sweet sounds of swimsuits. Not surprisingly, it’s still his most requested song on his tours. That’s going to do it for this Friday Forty. Hope you enjoyed this look back in the glamorous genre of pop music, and let me know if I missed any along the way! Or, suggest a topic for the next Friday Forty! Leave a comment below or contact me on Twitter: @AdamFSoybel.